What would Wolfgang Pauli do? 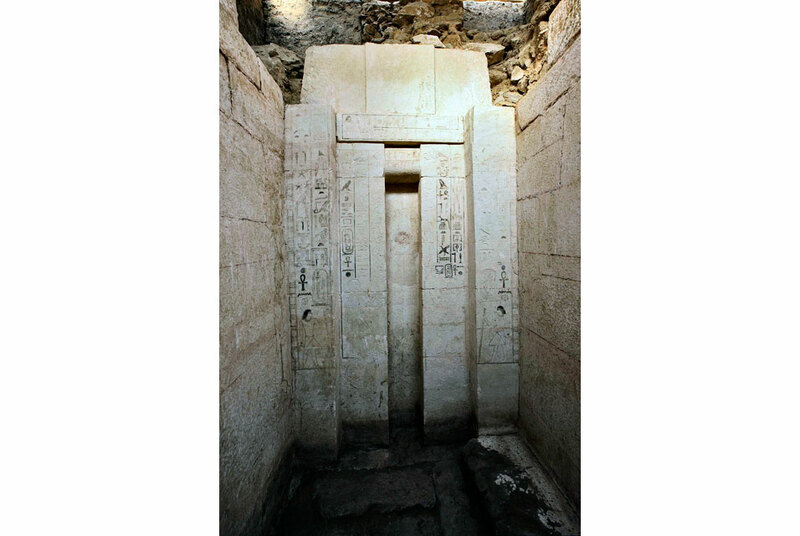 Egyptologists unearth the 4000-year-old tomb of a Pharaoh’s doctor. Here’s a photo of the tomb’s entrance for you to imagine chthonic horrors. Work begins to restore the ancient theatre of Sparta. Huge Neolithic structure discovered in Finland has solstice alignments. Laser survey maps hundreds of artificial caves beneath Nottingham. More about the Nottingham Caves Survey & its merry band of spelunkers. Koalas aren’t eating eucalyptus leaves, they’re mining them for gold. Common insecticide shuts down a key immune protein in bees. Horrific smog shuts down one of China’s largest cities. Mongolia’s nomads decide to stay put to combat chronic overgrazing. Modern stress means a steady stream of clientele for a Mongolian shaman. Terrific article on Ayahuasca, the Amazon rainforest’s medicine for the soul. Hardwiring happiness into the brain (Amazon US/UK). Darwin’s son drew all over his original On the Origin of Species manuscript. Invisible Cities is a choose-your-own-adventure redefining opera. If David Bowie was a yogi, Labyrinth would have looked a lot like this. A land serene, a crystal moon… awesome caves around the world. How lucid dreaming can help you be more awake (Amazon US/UK). A brief history of dreaming & the reality of dreams. A dove narrowly escaped becoming a lion’s elevenses at the Adelaide Zoo. what the article doesn’t tell you is that not only is this now a yearly phenomenon for China’s ENTIRE winter season, but every year over 1 million people die from sickness related to the smog. 1 million people. I met a guy from Fukuoka, Japan, about 7 years ago. He was studying to be an atmospheric scientist. To help pay for university he had a part-time job shoveling snow. Except the snow was black, due to the pollution in China. It was so bad in winter, his part-time job became a full-time one. The air currents carried everything from China, pollution mixed with dust, directly across southern Japan. Thing is, we can’t solely blame China. They’re making the plastic crap consumers around the world want. Second, I’m aware it’s not a new problem. China is in the height of their industrial revolution with no help from us or the world wanting their cheap products, however, no environmental laws and a corrupt government isn’t helping. They make more money ignoring the problem than spending money to fix it. But pretty soon, at the rate it’s going, they aren’t going to have anyone to work in the factories, BECAUSE THEY WILL ALL BE DEAD!